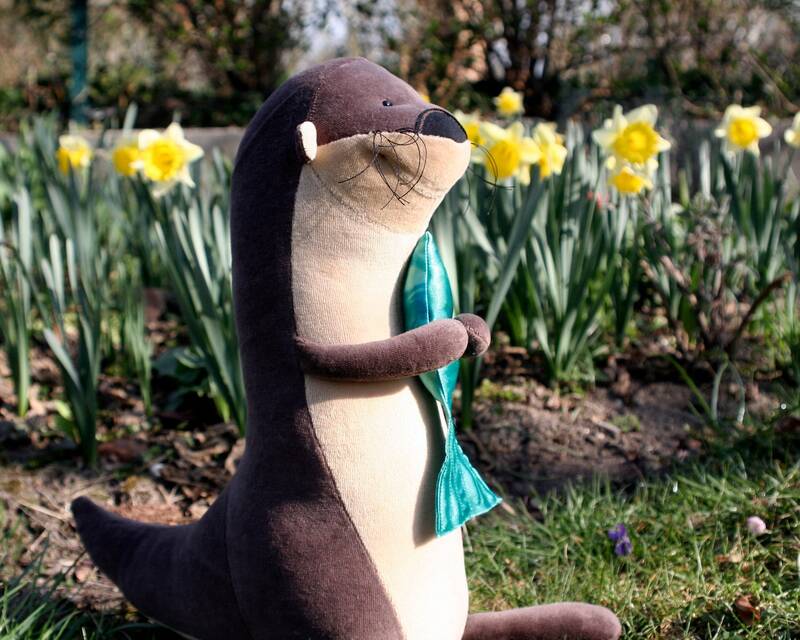 This funny European Otter is happy with his fish. 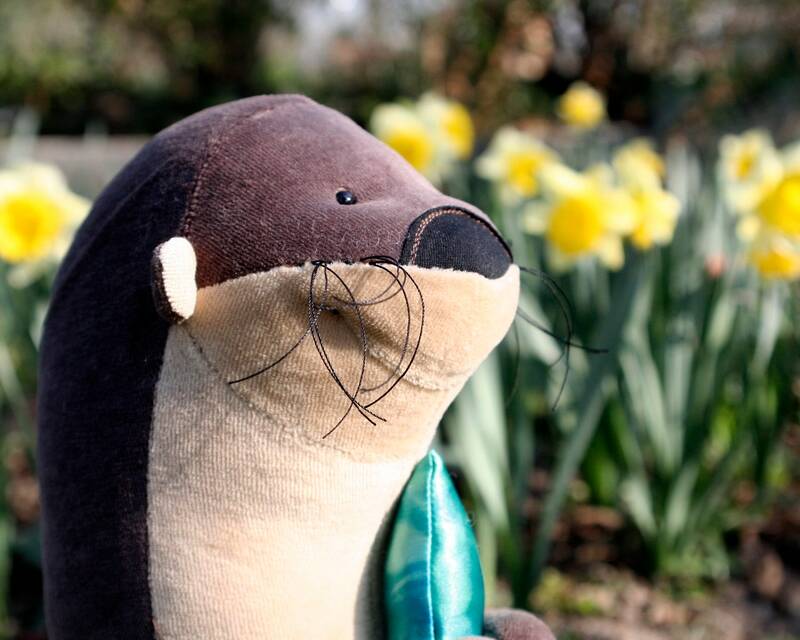 Otters are always seem to be happy so he can bring some happyness to your kids' nursery. 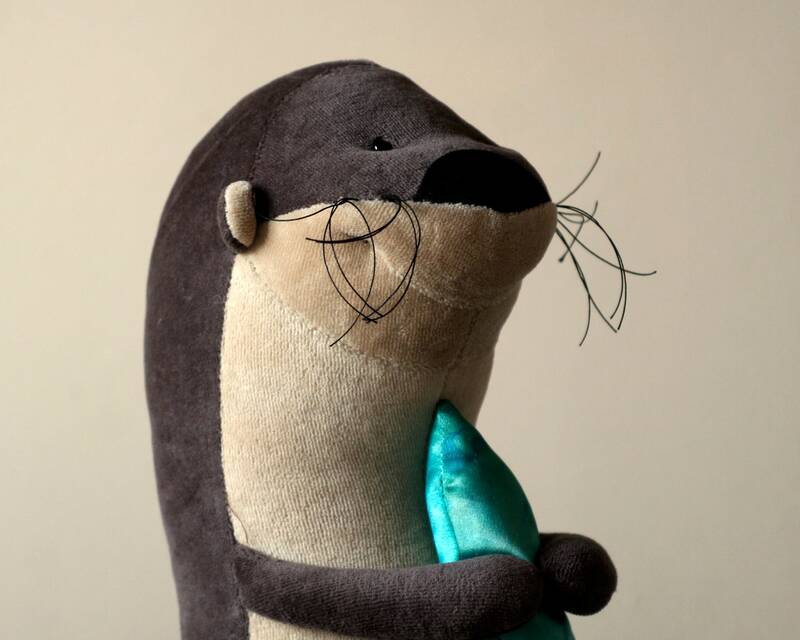 My plushie is a European Otter (Lutra lutra) but of course if you can call him a Sea Otter (Enhydra lutris) then you can. 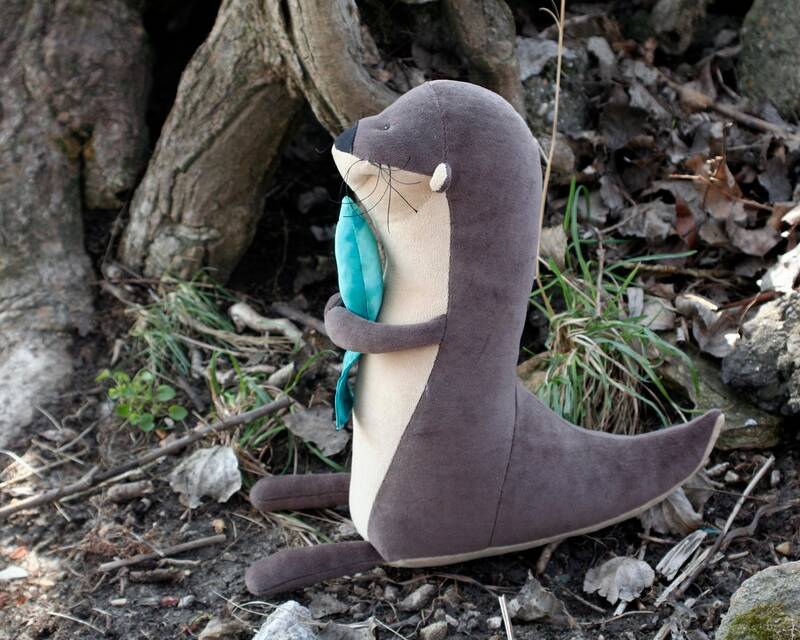 The Otter has his own fish. Fish color can be vary. 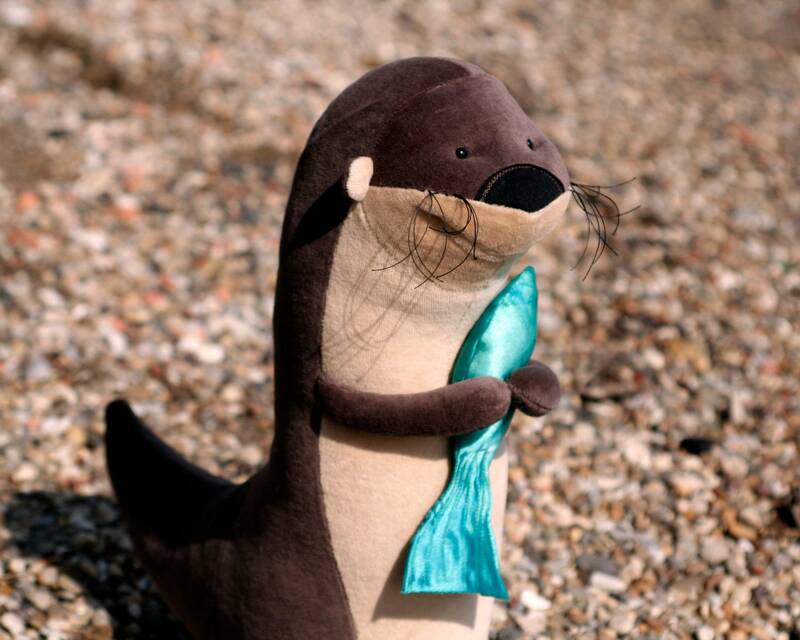 The fish is not stitched to the otter, it is a separated item! 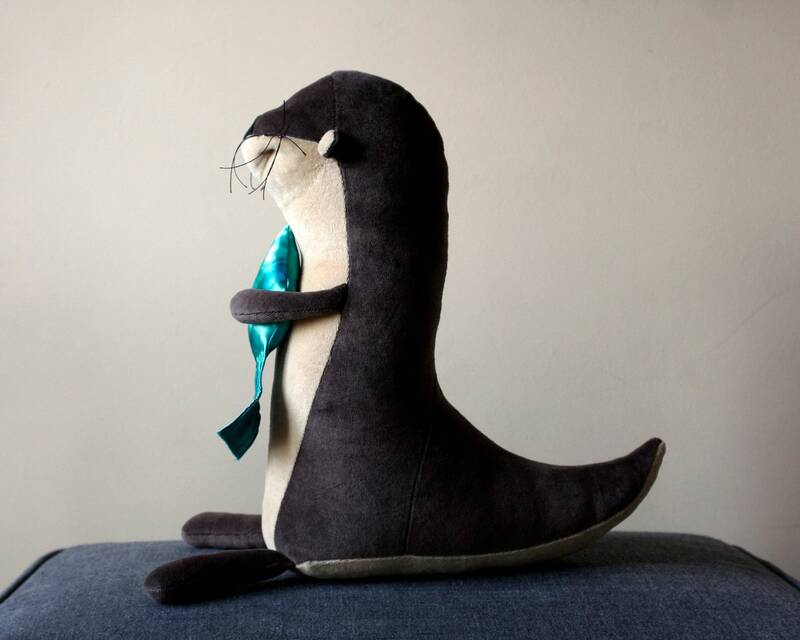 The Otter is made of soft plush. 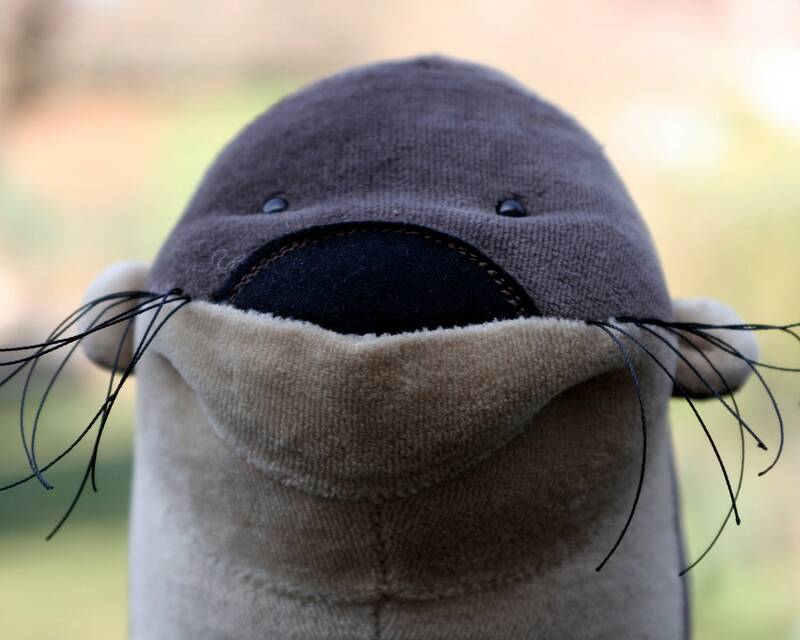 His back is dark brown and the belly is light peanut. Outer materials are Oeko Tex 100 standard certified. 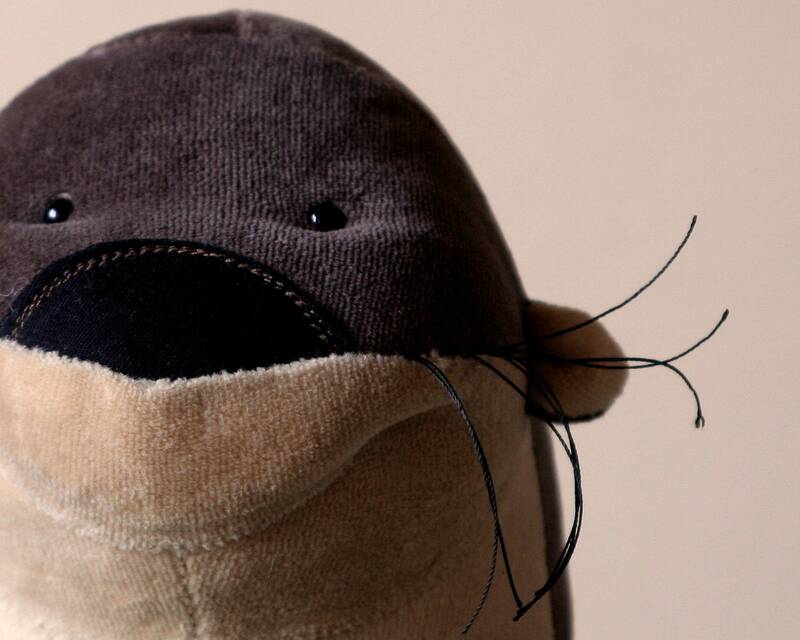 Eyes are safety buttons, nose is made of canvas. Stuffing is a high quality siliconized polyfill which is hygienic, washable and keeps its volume and shape for a long time. Machine washable on low temperature using mild detergent, can be tumble dried. 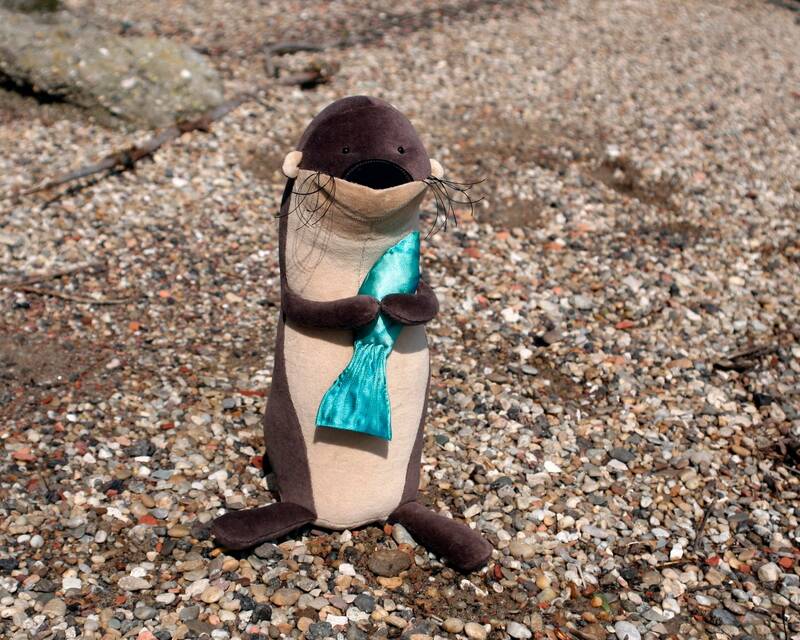 The Otter is 16" (39 cm) tall.